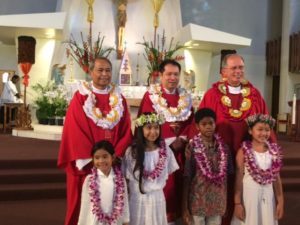 Children must be at least 7 years of age to receive Eucharist and must have completed at least two years of Religious Education. Religious education classes are offered September through May at St. Augustine parish. All children 7 through high school who are not in parochial school should be attending Religious Education classes. Please call the parish office at 923-7024 to register your child. Classes are held Sundays at 9 a.m.